The website is back online! What a great experience that is. So I'm taking advantage of it and posting chapter 8 of My Dreams Don't Comfort Me. Unfortunately, inspiration is a slow process as real life gets in the way. But my current plan is not to give up on the story. But no promises on when the next chapters/ending will come out. So if people still read it or check up on me, I'm sorry. 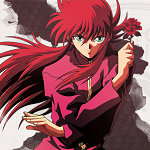 But I took some time today to post a one-shot for Kurama from Yu Yu Hakusho that I had written quite some time ago for another website. So enjoy reading that if you haven't already. Summary: Asoka Yoshizowa finds herself close to death after an attack by a certain Tsviet. 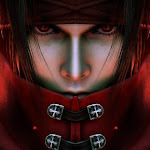 Hopefully there's a certain Vincent Valentine nearby who might be able to save her. Summary: It all began with the voices - the demons that you could constantly hear whispering. Then before you know it, you find yourself in a city called Edge taking refuge at Seventh Heaven. It is also here that you meet a man by the name of Cloud Strife. And as if distinguishing whether this is reality or a dream isn't difficult enough, you soon find yourself entangled in the mystery of Shinra's Project R.